I have to share this. If you are looking for best deals in sd card and other memory supplies for your gadgets, head over at Memory Suppliers. They have branded cards like Kingston, Sandisk,Kingmax, Lexar and more. I am CF memory card on my Canon DSLR and actually ihave 1 2GB and 1 4GB cards as a standby, you know when i started shooting it's gonna be endless so I don;t want to tun out of space. Glo, a co blogger/scrapper introduces us to the world of ELF Cosmetics. Almost all of us Bebots ordered online and it was delivered at his house in the US. Why not? their cosmetics are way too affordable, just $1 and up, very affordable and i think it is also nice to use bec. my nephew already used their eye makeup. I ordered several items for myself like, eye colors, a kabuki brush, lip gloss and some items for my 2 kikay nieces. It was already delivered at Glo's place and soon it will be shipped here. I can't wait to use them and experiment.Ahh i just hope there are also $1home insurance to purchase..lol just kiddin'. I will be posting pics once our loots came from US. I've visited Polyvore, my fave fashion place again this week and so some nice sets that members created again. This set caught my eyes and I am sharing this here. You can click image to go to the page and to know where to purchase all the items here. The leather jacket and the boots will surely make a statement, heads will be turning around when they see you wear these. I Want a Laptop !! I am planning to buy a laptop this year, hopefully, if I can save a lot I want a brand new HP Pavilion. I've been drooling over it for the longest time eventhough I know it's pricey but I know is it durable bec. I have already own an HP desktop. I want one so that I can have net access at home, I can only go online when I am here at my net cafe. I have been scouting for laptops since last year, I have been to SONY store and have seen their Sony Vaio. I have also seen different laptops like Toshiba Satellite Notebook, Asus, Dell and many more but I am really leaning towards an HP. I hope I can save more this year so that I can finally purchase one. Keeping my fingers crossed! 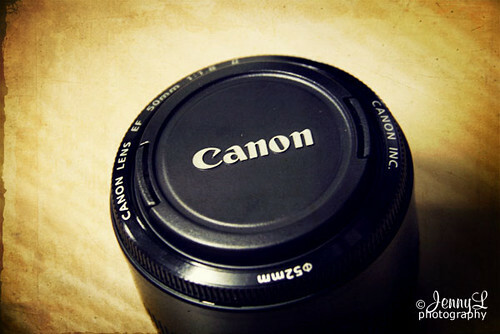 It's been over 2 weeks already that I broke my nifty fifty (Canon 50mm 1.8) lens and I am missing it so much. I guess it's also a blessing in disguise bec. now I have lots of time using my new 18-200mm which I always use as my everyday lens. I am planning of buying one again since I don't think it will be fixed anymore.I just need to find a store that has it on sale and aside from that I want to get a UV filter and a lenshood. I already called Henry's in Quiapo and it costs P4,000 while the lenshood is not available since my lens is still new in the market. Oooppps aside from that, I also need a video card for the other pc here on my shop. It's been a while that it is not in use, so I guess it's time to replace the sparepart. Been watching Models NYC on TV lately and I guess that is an old episode of this reality TV show about models. Just stumbled upon it when I had nothing to watch oen night, it keeps me interested for a while, where they follow the model's photoshoots in different New York City hotel or agency. Models look glamorous on stage but its a difficult job, they need to be fresh, looks good on photos, has certain personality, be professional so that they can book another job. I guess models time frame is quite short bec. new and young models sprout each day so they need to show their best and make the most out of it. I dunno but everytime I see bags online and offline, it really makes me have a second look and it will get my attention for sure. Just saw this Woven Patches Satchel at Urban Outfitters.com and this is actually on SALE from $78 now it;s only $49.00. It can only be purchased online. There are actually more bags on SALE at Urban Outfitters, and my eyes are feasting while doing so. Wish I can have even just one of the bags there. Jessica Simpson is on the news again bec. recently she showed off her new curves when she performed at her concert this month. Many have noticed her being fat, far away from her figure before. Some of her critics even stated that she needs weight loss supplements to keep her weight down. For me as long as she is comfortable in her figure and weight, nothing should matter to her. You know critics are always there to judge everyone of their flaws and mistakes.